Halcyon Landing over 50’s community in Bli Bli with popularity in the area sky-rocketing. Halycon joint managing director Bevan Geissmann said the $90 million dollar project, which consists of 171 houses has been a pioneer project for the company. “Halcyon Landing was our first project to introduce eight-star energy ratings as standard, and the first to receive a full six-leaf EnviroDevelopment certification, which were both winners with buyers," Mr Geissmann said. “Seeing the home owners loving the community and noting the recognition the project has received as an innovative and industry-leading development is incredibly fulfilling as a developer." Earlier this year the multi-million dollar project was awarded the National UDIA award for Seniors Living, which acknowledged the innovative idea of the company for environmentally sustainable lifestyle of living for people over the age of 50. Homeowners have access to all of the amenities including a tennis court, a full-size bowling green, lap pool, spa, cinema, gymnasium, as well as access to a million dollar recreation trail, which fringes the community on the Maroochy River. 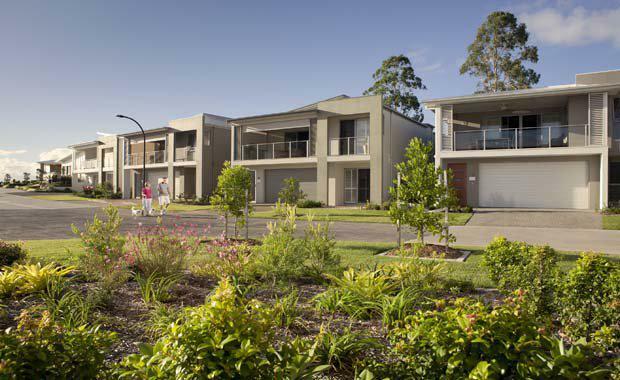 With the project end coming so soon, the company has begun construction on the next project- a $60 million Halycon Glades community in Caboolture North in an attempt to try and fill the void of the lack of this type of community area in south-east Queensland. “South-East Queensland is favoured by retirees for its climate, lifestyle and amenities, and that drawcard quality has been reflected in strong sales in our developments” Mr Geissmann said. The remaining houses in the Halycon Bli Bli community are priced from $494,000 to $714,000 and the sizes range from 174 square metres to 266 square metres.